Tourism has been worst hit in flood-ravaged Uttarakhand in northern India, with pilgrims fleeing the disaster-struck state and tourists cancelling their bookings. May and June are considered peak season for tourism in the state with hotels registering 100 per cent occupancy, but now, most wear a deserted look and several have also been washed away in the floods. “Every year, 23 to 24 lakh pilgrims arrive in the state for the Char Dham Yatra — Badrinath, Kedarnath, Gangotri and Yamunotri. The disaster has hit tourism badly. The natural calamity has temporarily forced closure of the annual ‘Char Dham Yatra’, considered the backbone of Garhwal economy. Some hotels in worse-hit areas like Rudraprayag, Chamoli and Uttarkashi districts have been completely swept away in the deluge.Tour operators claim that due to the tragedy brought about by torrential rains last week, business in this sector in cities like Mussoorie and Nainital has come down by 20 to 30 per cent. Ganga Singh Bhandari, a Delhi-based tour operator, said the next two years might be very difficult for tourism sector. 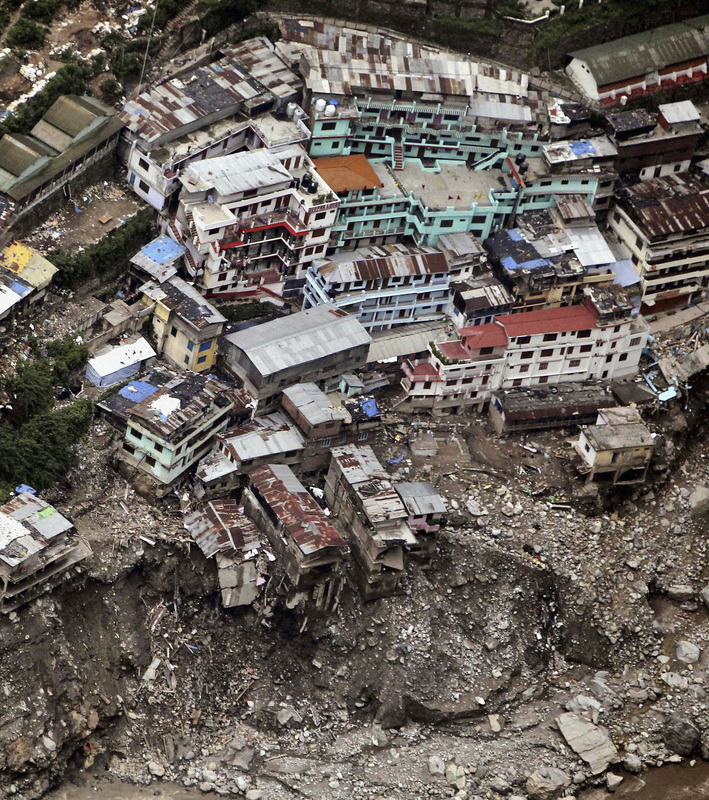 “My hotel beside Kedarnath temple got washed away in the torrent. Of 12 buses we had sent from our centres in Delhi and Rishikesh, some are yet to return. We also lost three pilgrims and people are very scared now.” “Even if people want to go there, how will they go? The roads have been destroyed, hotels and inns have been ravaged. I wait every day in my office to see a tourist but I don’t think we’ll seem them for another two years,” Bhandari said. S P Kochhar, manager of a group of hotels said, “Now, only corporate customers are staying in our hotels or those who aborted their Char Dham Yatra midway.” Around 9,000 people are still stranded in the state and rescue operations are going on with Indian Air Force having launched its biggest ever helicopter-based rescue operation in the state. Tourism officials are advising tourists and pilgrims to stay away from state tourism circuit for at least one month. Mass cancellations of bookings have prompted travel operators to change their plans and they are asking tourists to visit the state after September. “For the time being, we are asking tourists to refrain from travelling to Uttarakhand but we are building new and better travel plans for them in the upcoming months,” Rohit, an employee of a travel company, said. Have you ever thougght about including a little bit more than just your articles? the verry best in its niche. Superb blog! certainly youu are going to a famous blogger if you aare not already. Book Online Srinagar Package at srinagarpackage.com. We are offering best Srinagar Package, Srinagar Tour Package, Holiday Package, Honeymoon Package @ Rs 6999 Per Person. Call us : +91 – 8826410377, 9911303818 Book Today Your Package. Today Special Offer Book Srinagar Package at 4999/- Per Person. Call Ritu – 9911303818.